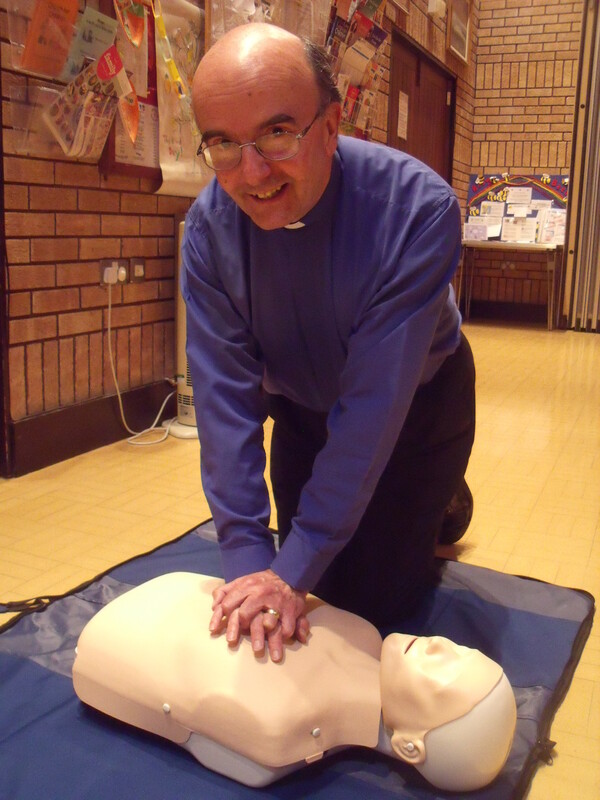 At a recent Heartstart course held at Holmer Church Centre, 21 parishioners from Holmer, St Marys and Huntington Churches learnt some vital skills on how to save a life, with the support of five volunteer instructors from Herefordshire Heartstart. During the two hour course, they all learnt how to call for help, how to help an unconscious casualty, how to deal with choking, serious bleeding and heart attack. They were able to practise recovery position and CPR and by the end of the evening, they all felt a lot more confident to know what to do in a life threatening emergency. 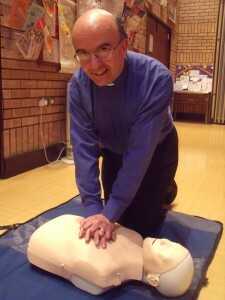 Herefordshire Heartstart are working with Churches in the Diocese of Hereford under a grant from the Deanery Mission fund to deliver Heartstart training through churches in the area. Eight churches are being targeted under this project and will roll out during the year. Courses will take place in church centres, community halls, local businesses or anywhere where there is enough space to run a course for between 12 and 30 people.